Staffed by attorneys and students at Harvard Law School, the clinic provides immigrants, refugees, and asylum seekers legal support—a mission that has become all the more pressing under the Trump administration. 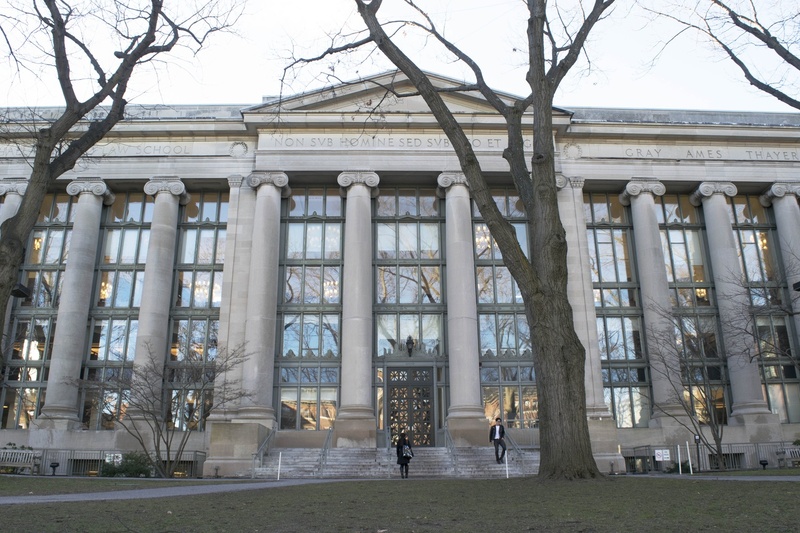 The Immigration and Refugee Clinic at Harvard Law School is at the center of the University's response to President Donald Trump's executive order. Since Donald Trump won the presidential election in November 2016, everything’s been busier at the Harvard Immigration and Refugee Clinical Program. 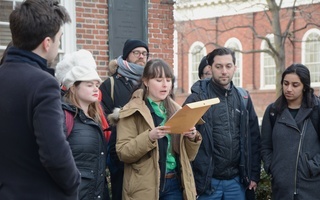 In January, Trump signed three executive orders related to immigrants and refugees, prompting widespread protest at Harvard and across the University and spurring a flurry of action at the clinic. In just the last month, HIRC has helped the University file an amicus brief challenging Trump’s immigration order, organized a number of information sessions for immigrant students, and, most recently, released a report about the effect of Trump’s order on asylum seekers specifically. The clinic has also hired a new staff attorney, Jason Corral, to work full-time to support undocumented students on campus, and hired clinical instructor Cindy Zapata to oversee the clinic’s expanded programs. Staffers at the clinic also helped pen an additional amicus brief opposing Trump's order. In short, it’s been a hectic month. Maggie J. Morgan ’04, a clinical and advocacy fellow overseeing students at the clinic, said that although it is still unclear how the executive orders will play out, there is already much to do to support clients. As the University responds to a rapidly changing political environment and seeks to supports its international and undocumented students, HIRC has been central to its efforts. “I think that it also gives people hope and a sense of comfort to know how many people are not just going to sit down and take whatever this administration throws at them,” Morgan said. As part of its approach to immigration and refugee rights issues, the clinic, in conjunction with the Harvard Immigration Project—a student practice organization at the Law School—has launched the Immigration Response Initiative, an umbrella project with nine sub-projects. Among its other initiatives, members of the project have created a sanctuary campus toolkit and FAQ for students about the immigration executive order, according to Amy E. Volz, a Law School student and the co-president of HIP. The University and Law School have stepped in to support the clinic's work. In her emails to Harvard affiliates since Trump's election, University President Drew G. Faust has repeatedly pointed to the clinic as a resource for students. 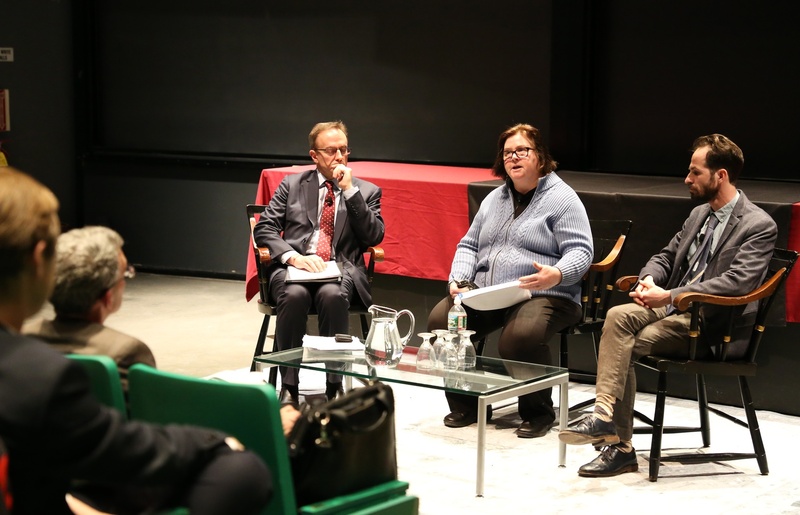 Affiliates from across Harvard affected by President Donald Trump's immigration order voiced concerns and posed questions to University administrators and staff at a town hall event earlier this month. In an emailed statement, Law School Dean Martha L. Minow wrote that she was happy to support the clinic’s programs. “I am so glad to have been able to add new resources for the clinic and grateful to the University also for contributing sources to support the critical work of the clinic and the many students and pro bono attorneys who have come together during this challenging time,” Minow wrote. The clinic also released a report Wednesday called “The Impact of President Trump’s Executive Orders on Asylum Seekers,” written by staff and students affiliated with the clinic. The report details prior policies and the changes made under Trump’s three immigration-related executive orders signed in January. Specifically, the report argues that the refugees are no longer safe in the United States, which complicates a refugee exchange agreement that the United States has with Canada. The report has already gained significant traction in Canada, where legislators are considering suspending the refugee agreement, clinic director and Law School professor Deborah E. Anker said. Like most clinics at the Law School, the clinic accepts Law School students through a lottery program that takes place one semester prior to joining the clinic. Morgan said there was a significant uptick in interest in the clinic following Trump’s election and his subsequent executive orders on immigration and refugees. Volz said that over 300 students have signed up to get involved with the programs. While efforts related to litigation and legal research are mostly limited to Law School affiliates, other programs, like interpreting, are available to undergraduates, and Volz said they continue to encourage students to get involved. Morgan said Law School students are essential to the clinic’s activities, and work directly representing clients in court. According to Morgan, more local attorneys have also been interested in the clinic’s activities since the election. She also said the clinic has run a series of know-your-rights programs and clinics in the Boston area to help directly local individuals with immigration-related concerns. Anker said many clients find the clinic on their own or are referred to its services by Greater Boston Legal Services, where the clinic has an office at its downtown location. “They’ve been around for a hundred years and have developed strong ties with immigrant communities, so they refer cases to us. They also represent people, and we actually have a clinical instructor down at Greater Boston Legal Services,” Anker said. Morgan said that while the student interest is encouraging, plenty of work remains. ​Four Harvard faculty members signed onto an amicus brief filed in a federal appeals court Sunday night to support a legal challenge to President Donald Trump’s immigration order. The Harvard Immigration and Refugee Clinic filed Thursday an amicus brief challenging President Donald Trump’s seven-country immigration ban.